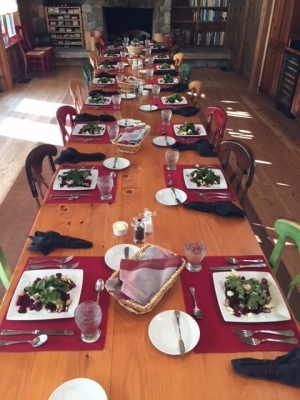 The garden at Healing Waters Lodge produces fruits and vegetables used in the meals we serve our guests. This year, we grew an abundance of baby bok choy, variety of lettuces and peppers, asparagus, broccoli, radishes, strawberries and raspberries. We also have a great herb garden in front of the dining room. Lately, we are producing tons of zucchini and crook-neck squash. 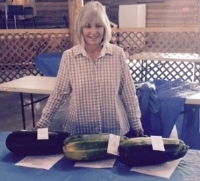 We let a few zucchini grow wild and entered them in the “largest squash” catagory at the Madison County Fair, in Twin Bridges.